We install seamless copper, galvanized steel, or aluminum gutters and downspouts. We also do custom work. The gutters come in a variety of styles and sizes to fit your buildings needs. When we make your gutters we only use the best materials. We use a thick 16 oz. and 20 oz copper for all of our K-style and half round gutters. 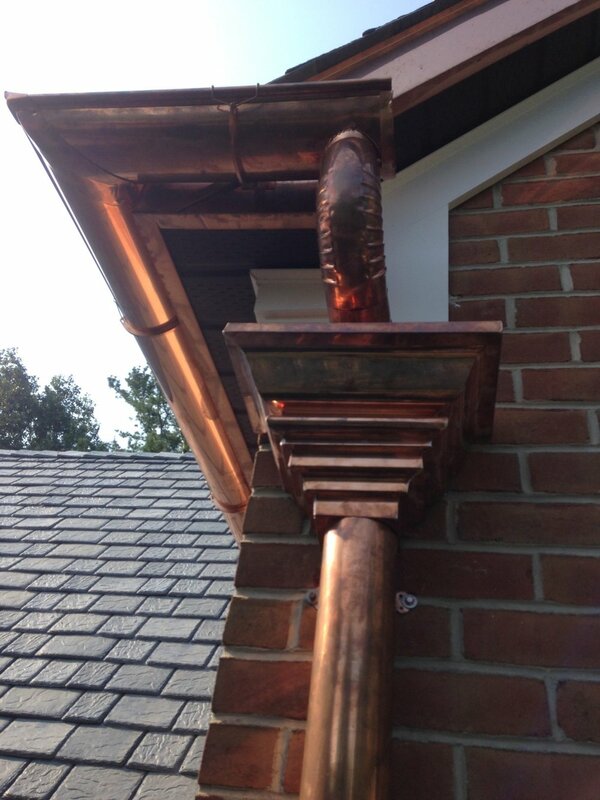 As for the copper downspouts; 2"x3" 3'x4' 4'x5' rectangular, 3' 4' 5' 6' round copper downspouts are used. 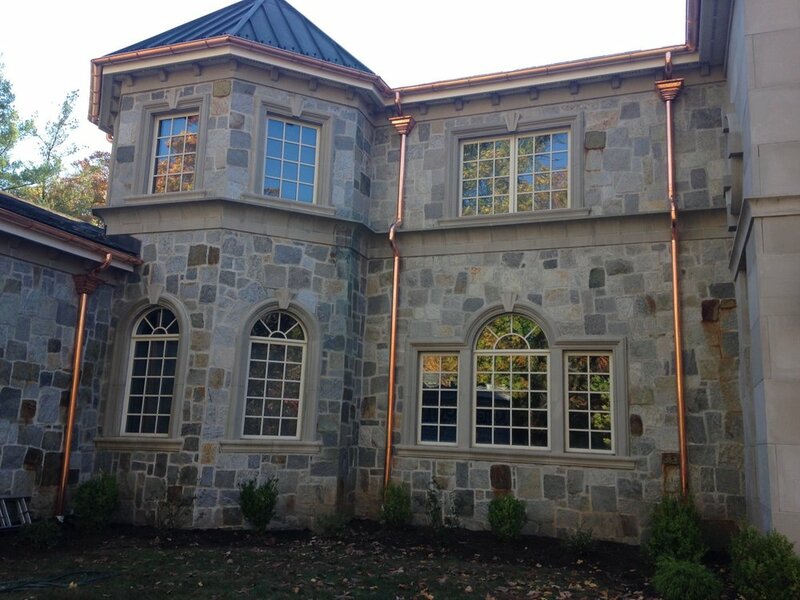 Copper gutters are our specialty! We have copper gutters and downspouts in all shapes and sizes from k style to half round, flange back to custom fabricated gutters. Copper Gutters are available in Seamless both 16 and 20 oz. 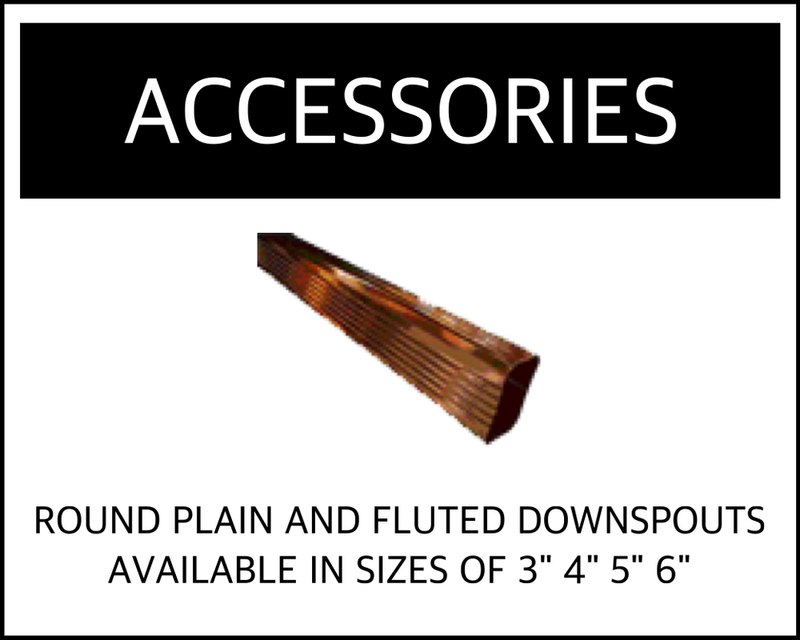 Size of Copper Gutters available are 5", 6", 7", 8"